Looking for a window company near you that does it all, including door replacement? Greeley Window Company is your number one source for door replacement, new windows, window installation and window replacement. No matter what you need, our friendly professionals will help you to make the best decisions for both your style and your wallet. Greeley Window Company searches high and low for the greatest value for the price in windows and doors. This bargain hunting, combined with techniques that make us the best window company near you! Are you ready to see the difference? Contact us today! See the World from New Windows! New windows can change the look of your home and increase its curb appeal and style! However, which new windows will you choose? Every window type has its benefits and strengths. Fiberglass windows are very durable when it comes to the punishment that the Colorado weather can throw at them. Vinyl windows are a great option for those on a tight budget and are also tough. These are just two of many choices! Call the experts at Greeley Window Company to go over your many options today! The best window company is only as good as the hands and skills of the window installation experts. Greeley Window Company takes quality craftsmanship seriously, and we have the happy customers to prove it! Our detailed system ensures that everything is done with precision and accuracy. 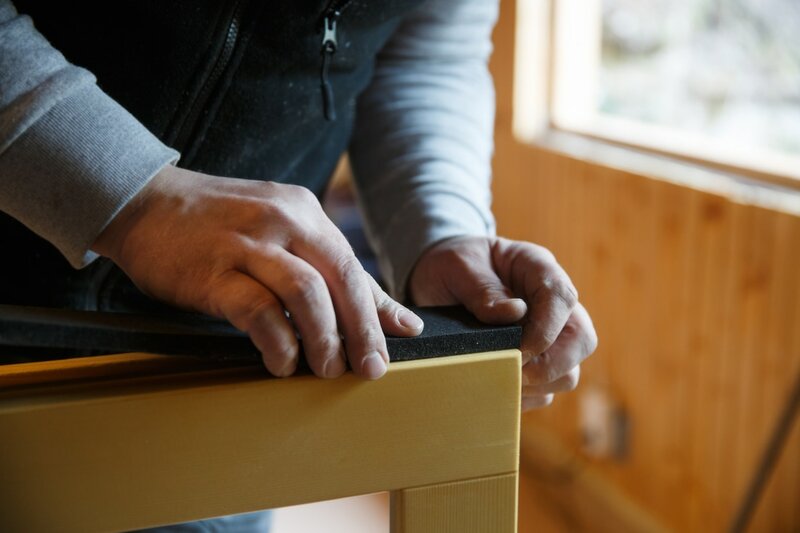 Each step in our window installation process is double checked to make certain that nothing is missed, and though that might seem heavy-handed, the results are hard to argue with! Other window companies will cut corners and rush to get the job done; leaving you with a window that won’t last as long as it otherwise should. Don’t get hustled by these imitation experts! Call Greeley Window Company today! Looking for affordable window replacement from people who are the best at it? Greeley Window Company is here to save the day! When replacing a window, you need to consider cost, style, and many other things. Our professionals will help you make the best decision whether you are simply replacing your current window with an identical version or changing to an entirely new look and style! Depending on the particular details of your window replacement, a casement window or a picture window can open up your home to allow more light in, as well as look amazing! Whatever you decide for window replacement, call Greeley Window Company! If you are in need of door replacement, for exterior doors or interior doors, call Greeley Window Company! That’s right; we do doors too! Sliding patio doors, French doors, custom doors, sliding doors of all types; we do it all! Entryway doors need to be as secure as they are visually appealing, which is why we take hanging your new exterior doors seriously! Failing to take things like the space needed for the door to fully open and the door’s ability to keep temperatures equalized with a proper seal can lead to trouble! Quality work when replacing a door means attention to detail. At Greeley Window Company, detail is what we are all about! Call us today at 970-373-1665 to learn more!